Biola’s defense holds firm, carrying the Eagles to their first win of the year. The temperature was just starting to cool off from a massive heat wave, the air was humid and sticky, and the lights at Al Barbour Field even failed to turn on at first. 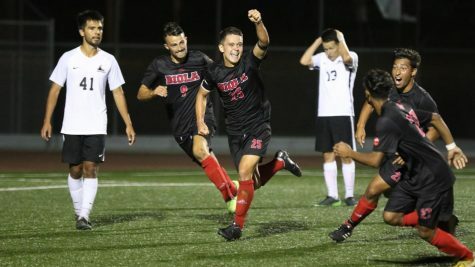 At the end of the night, none of that mattered to Biola men’s soccer. The Eagles were home for the first time in 2018, and they gave their fans plenty to cheer about. 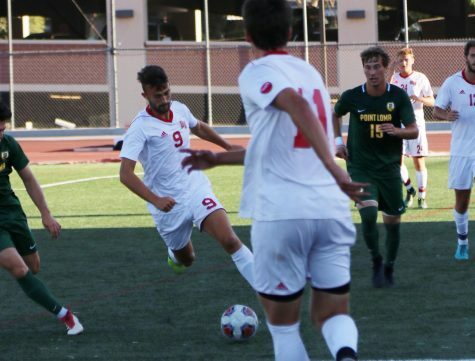 An incredible defensive effort backed up the first goal of freshman midfielder Oscar Rubalcava’s collegiate career to lift Biola to a 1-0 victory over Cal State San Bernardino on Saturday night. The moment Rubalcava said he had been praying for came in the 31st minute when he converted a through pass from freshman midfielder Jonathan Serrano, who had just been subbed into the game. The immediate impact from two freshmen may have surprised some, but head coach Todd Elkins was not among them. “Those two in particular, and really all of our new guys have shown that they can contribute right away,” Elkins said. The Coyotes brought pressure early, but could not get a clean shot through the Eagles defense, which would become a theme of the night. 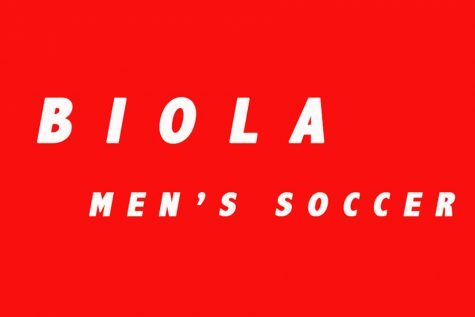 The game entered a brief delay near the 15th minute as Biola Athletics officials struggled to turn on the overhead field lights. The lights eventually turned on, but the same could not be said about the game’s offense, as neither team even mustered a shot on goal before Rubalcava’s score. The Coyotes made an early push but could not break through the Eagles’ defense until a free kick in the 23rd minute. Junior goalkeeper Luis Rodriguez made the save to preserve the shutout. CSUSB ramped up the pressure in the second half, but the Eagles’ defense refused to crack. 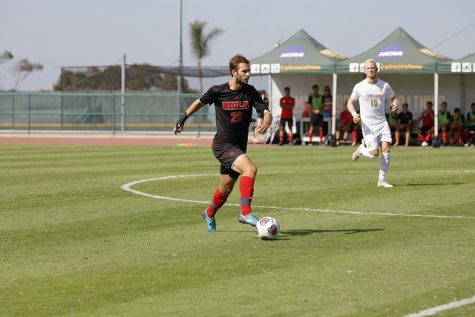 Most of Biola’s chances in the half came on breakaways, as well as three corner kicks and two free kicks off Coyotes yellow cards. 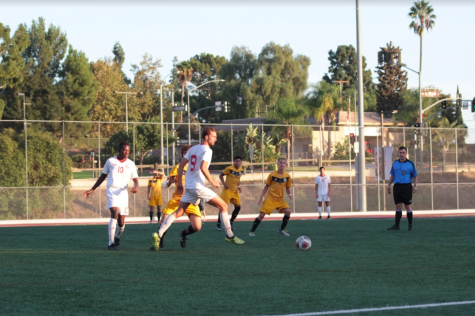 The Eagles could not convert, but more importantly, they kept the Coyotes from tying the game, with several clutch clearouts from all over Biola’s back line. 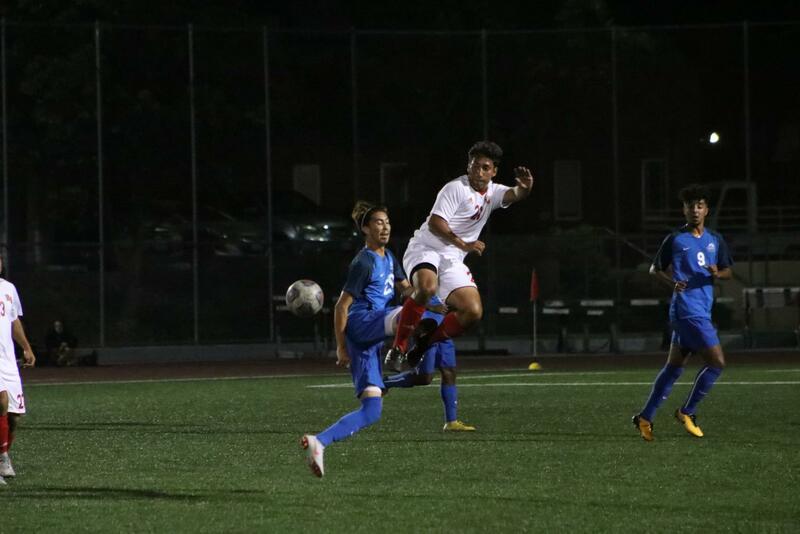 In the 87th minute, CSUSB weaved a through pass to a forward near the goal, but senior defender Alejandro Pelayo stole the ball and cleared it without letting it roll out of bounds. Elkins later cited that as the moment he knew his defense would not break. The Eagles improved to 1-2 in non-conference play. They will host Northwest Nazarene University on Thursday at 7 p.m.